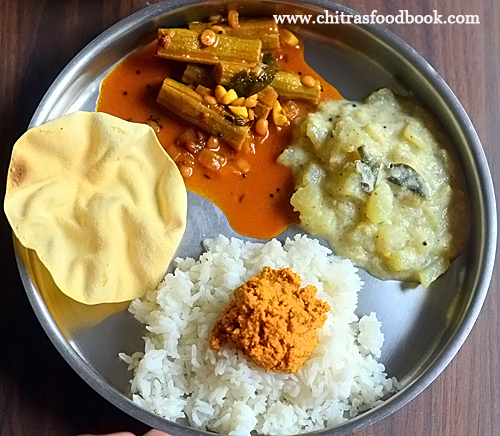 Chow chow kootu (Chayote in English) is one my most favorite kootu recipes. Basically chow chow is a vegetable with rich water content. It doesn’t have any particular smell or taste. 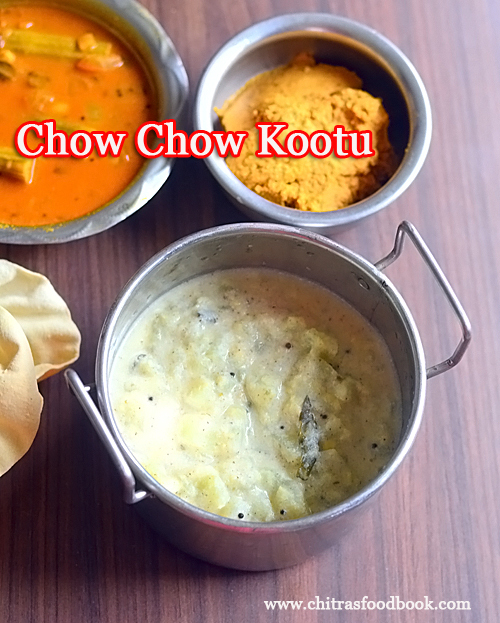 Generally we Tamil people make this chow chow kootu at least once in a week in our regular lunch menu. 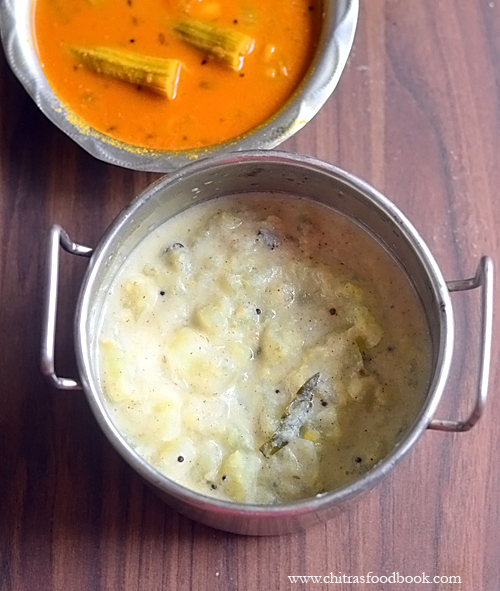 Its a good side dish for vatha kuzhambu and puli kulambu. 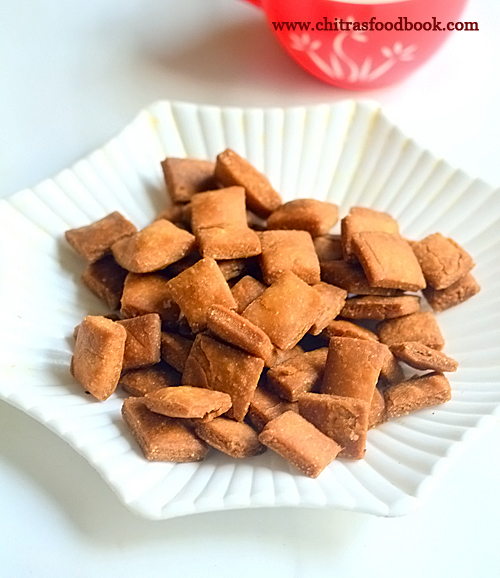 In my family, both mom and MIL make chow chow kootu with small variations. My MIL adds moong dal whereas my mom adds chana dal along with coconut, green chilli paste. 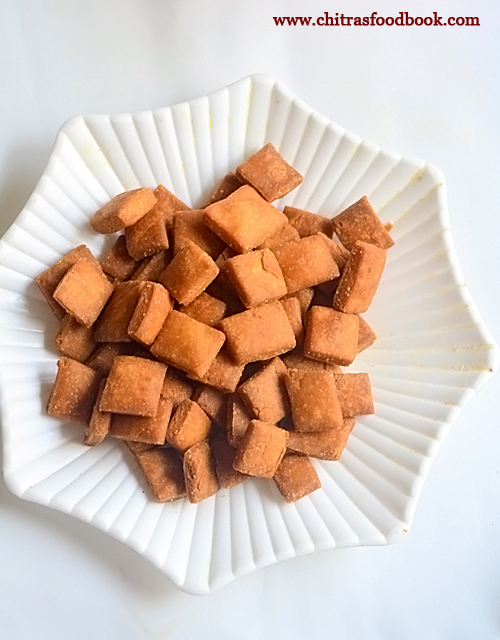 Usually we add small onion while grinding coconut but this kootu can be prepared without onion as well. It tastes and smells good in both the ways. My mom adds little milk at the end to give a rich taste and to look white in color. 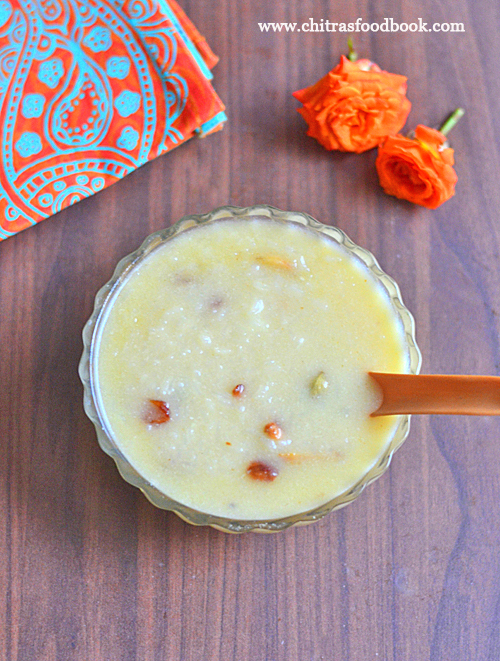 I combine my mom and mil’s recipes and make this kootu in a pressure cooker directly to ease my job. 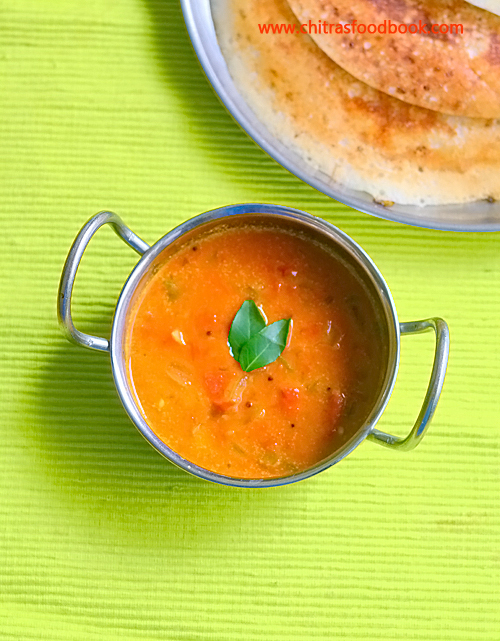 For variations, this kootu can be prepared adding sambar powder too. In that case, kootu looks orange in color. 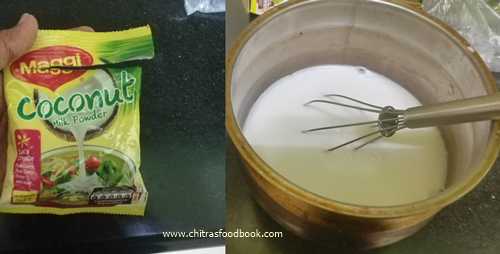 Ok, lets see how to make chow chow kootu / Chayote kootu with step by step pictures in an easy way using pressure cooker. 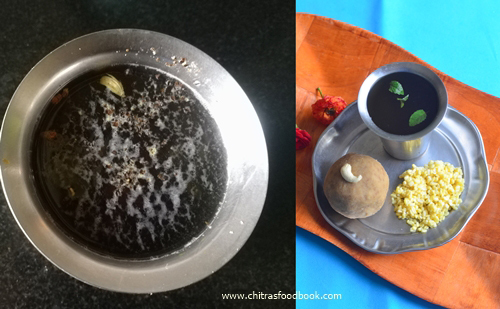 Do check out my other kootu recipes too. 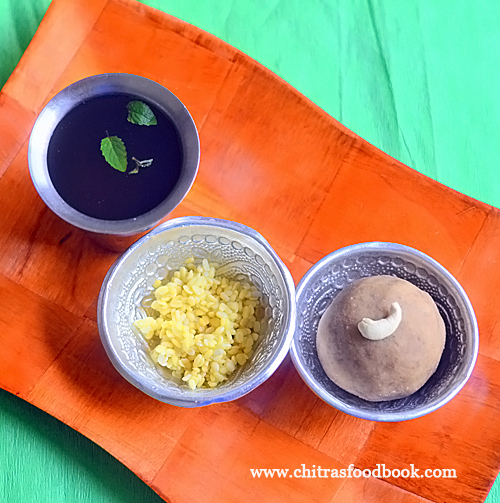 Chow chow kootu recipe with moong dal, coconut and green chilli. 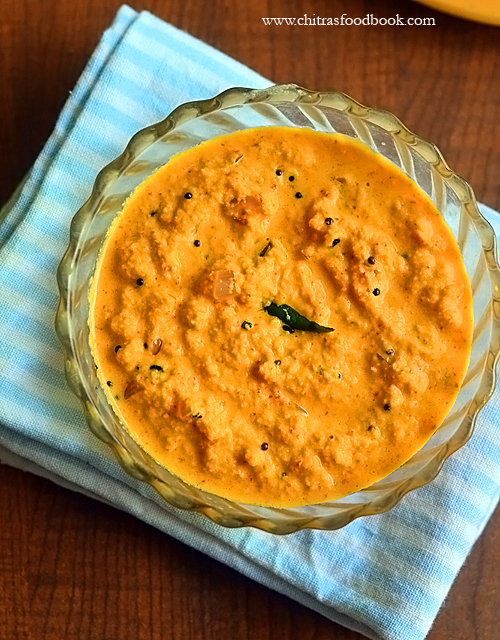 Its a good side dish for vatha kuzhambu / Puli kulambu. Chayote / Chow chow - 1 no. Green chilli - 1 to 2 nos. Wash and peel the skin of chayote / chow chow and chop into small pieces. 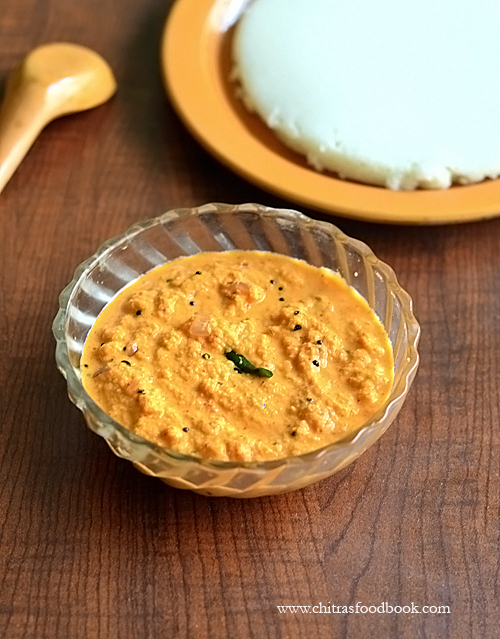 Grind coconut, green chilli, cumin seeds, onion and rice flour to a smooth paste. Heat coconut oil in a pressure cooker base. Splutter mustard seeds, curry leaves. Add the chopped chow chow. Saute for a minute. Add moong dal, ground coconut paste. Add the required water and salt. Mix well and pressure cook in low flame for one whistle. Remove after the steam is released. Add the milk, little water if needed. Mix well and give one boil. 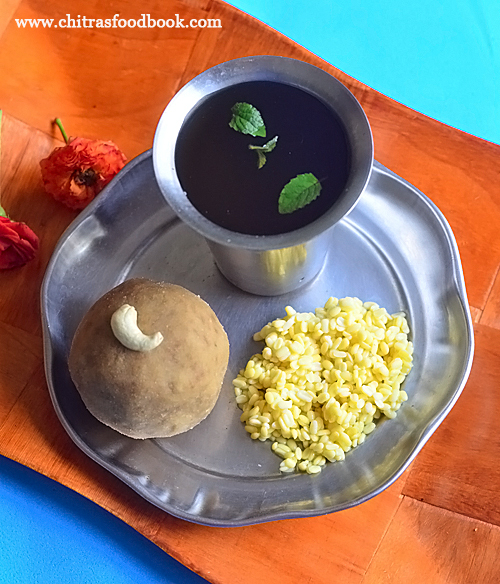 Serve hot with vatha kuzhambu or puli kulambu sadam and sutta appalam. Tastes yum! Wash and peel the skin of chow chow / Chayote using a peeler. Remove the seed. Chop into small pieces and set aside. 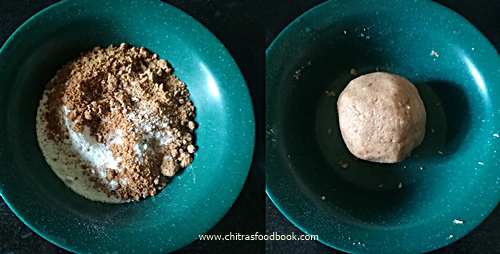 Grind coconut, green chilli, small onion, cumin seeds and rice flour to a smooth paste adding required water. Set aside. Heat coconut oil in a pressure cooker base. Splutter mustard seeds, curry leaves. Add the chopped chow chow pieces. Saute for a minute. Add moong dal and mix well. Add the ground coconut paste, required salt and mix well. Add 1/2 cup of water. Close the pressure cooker and keep the flame high. As soon as the steam comes from the nozzle, put the weight valve and reduce the flame to low completely. Pressure cook in very low flame for one whistle. It takes 8 to 10 minutes. Switch off the flame after one whistle. Remove the cooker lid after the steam is released. Mix well, add milk and check the consistency. 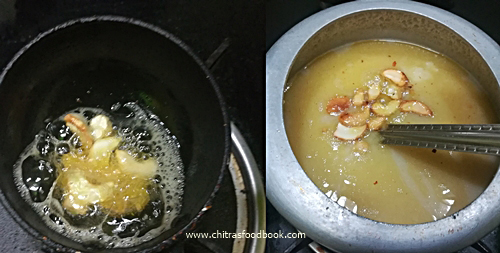 If the kootu is too thick, add 1/4 cup of water, give one boil. If its watery, boil for few minutes to reach the desired consistency. Switch off the flame. 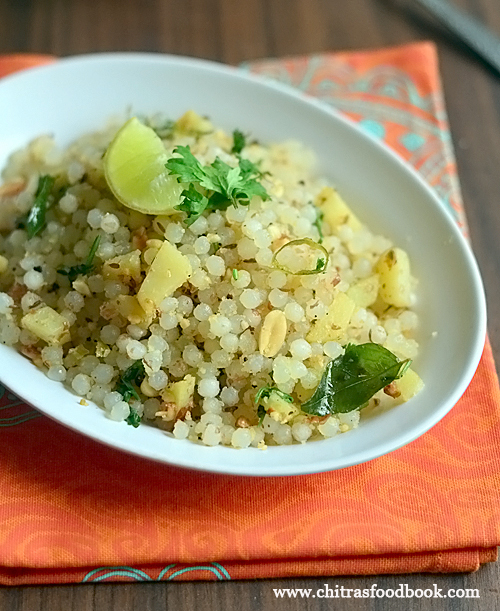 Serve with vatha kuzhambu rice or puli kulambu rice. 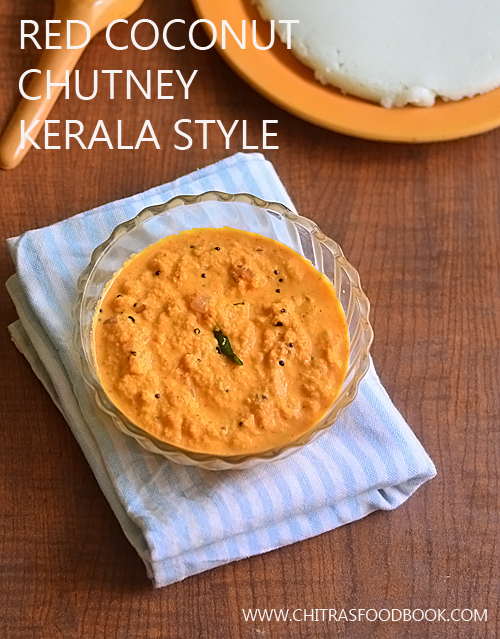 Tastes great with sutta appalam / roasted papad. 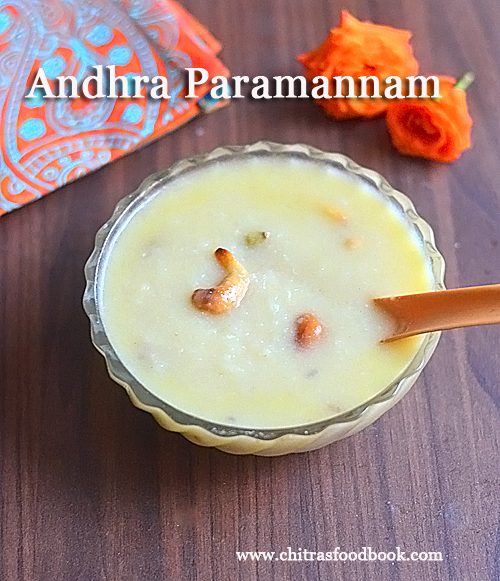 If you like, you can mix this kootu with plain rice adding ghee. Enjoy ! Do not add more green chillies. Kootu will become spicy. Do not add more water in the pressure cooker. 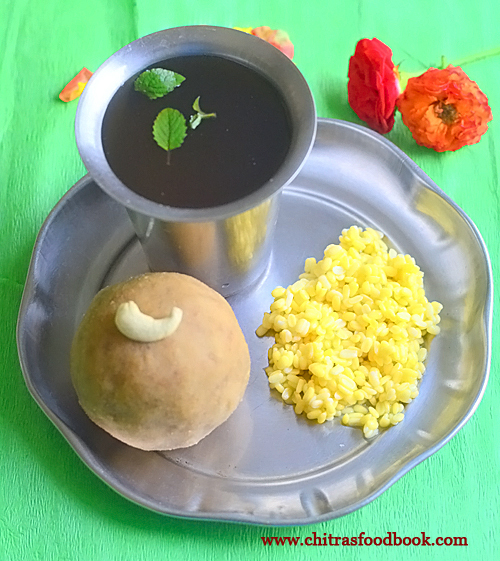 As this vegetable itself is rich in water content, it will cook easily in less water. Do not skip cumin seeds while grinding coconut. It adds a nice flavor. 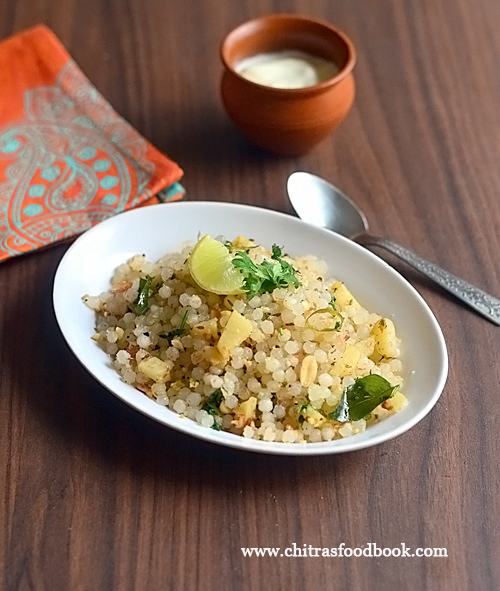 You can avoid onion while grinding if you are making this kootu on vrat/ fasting days. 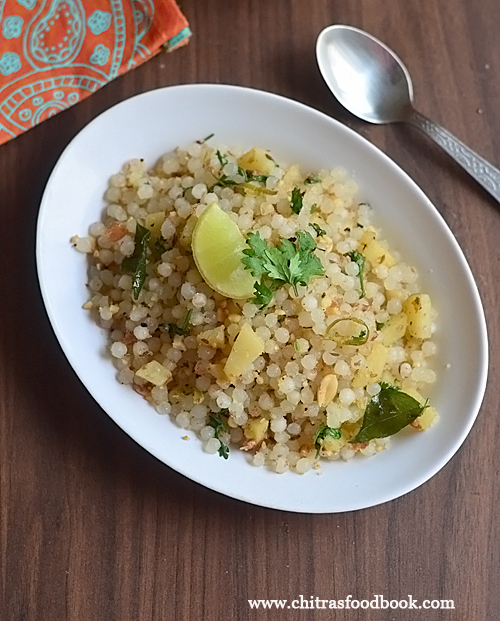 For variations, chana dal can be used instead of moong dal. 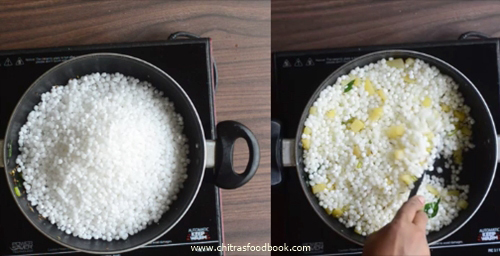 Soak chana dal for 15 minutes for perfect cooking. 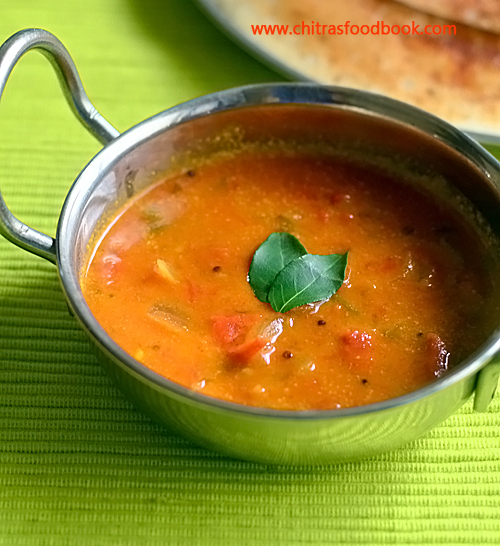 Similarly sambar powder can be used in place of green chilli. 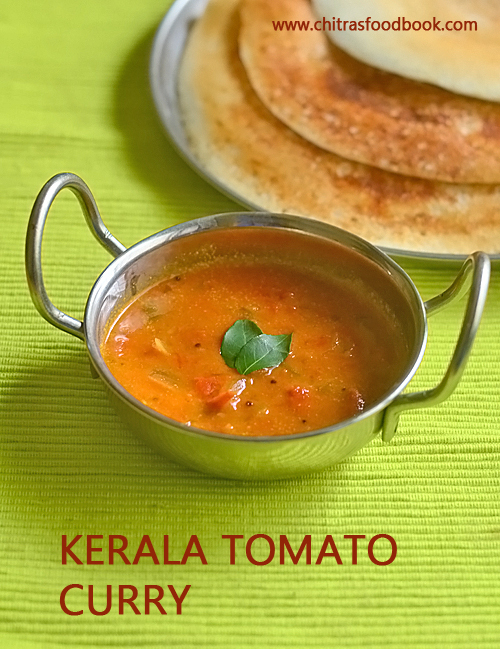 One chopped tomato can also be used in the cooker. In that case, kootu looks orange in color. 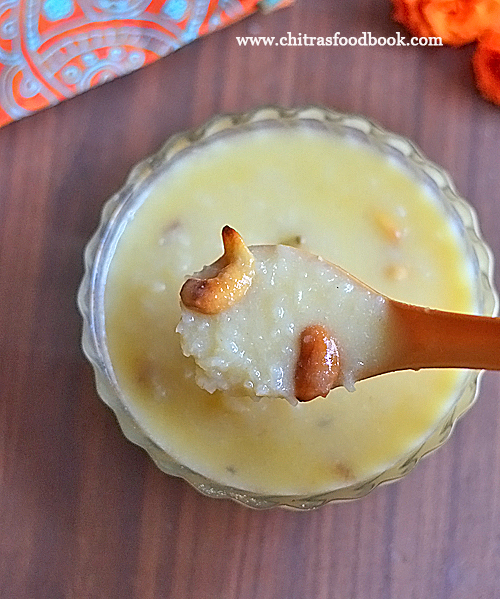 Try this easy, yummy chow chow kootu in a pressure cooker and enjoy with rice. 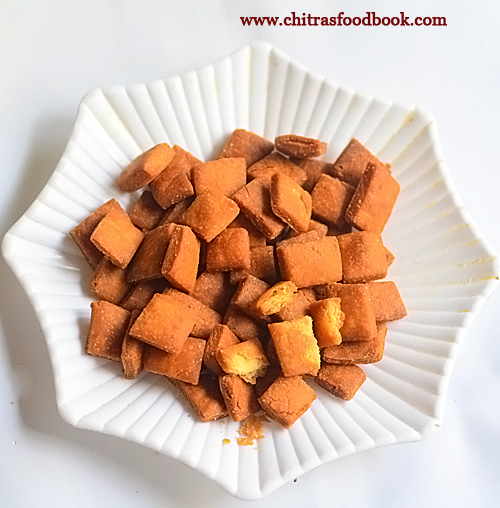 Technorati Tags: Chow chow kootu,chow chow kootu recipe,chayote kootu,chayote kootu recipe,how to make chow chow kootu,chow chow recipes,kootu recipes,chayote recipes,chow chow kootu with coconut,chow chow kootu with moong dal.